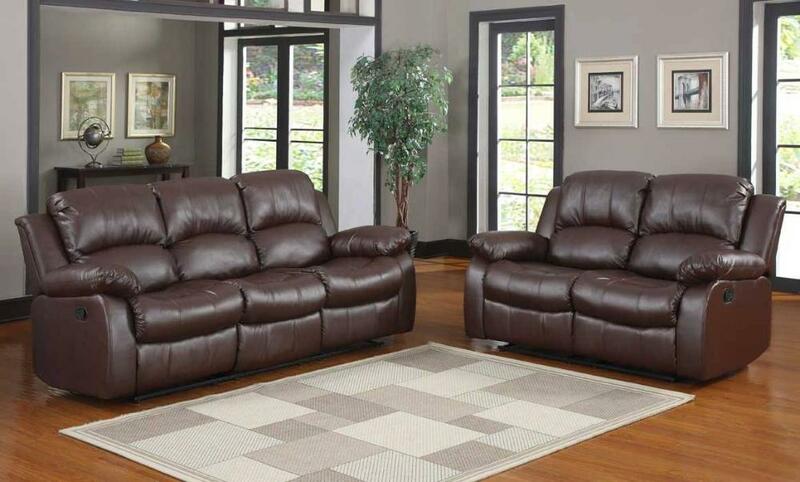 The reclining Cranley Collection utilizes release mechanism that with a gentle pull sends you straight into your ultimate comfort zone. 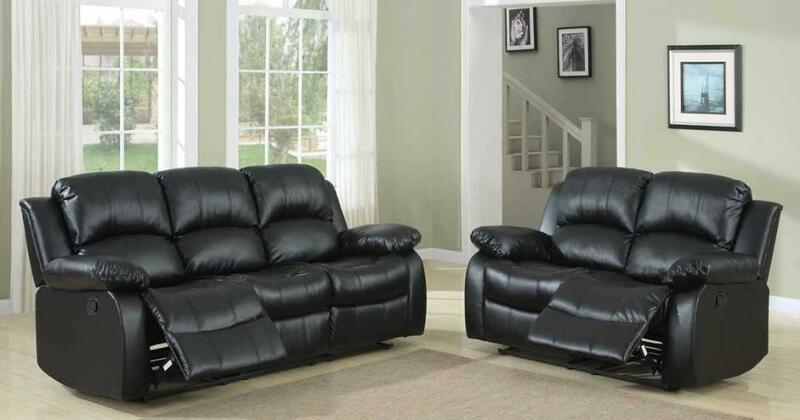 Offered in three coverings: black bonded leather match, brown bonded leather match or chocolate textured plush microfiber with dark brown bi-cast vinyl. 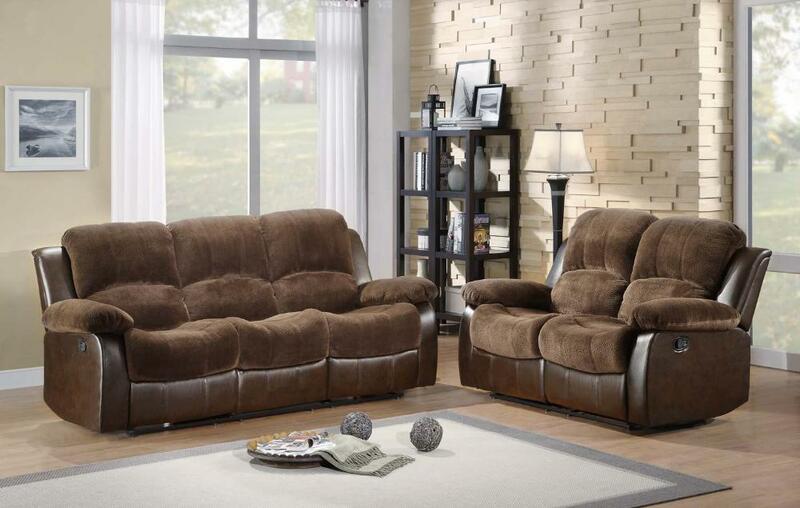 The overstuffed arms, seats and backs furthers the comfort of the collection.